Luckily for those who are being educated. Apple has just launched a cheaper version of the iMac is intended for students. Based on info from Mac Rumors, Apple gives the price of USD 999 to get an iMac. 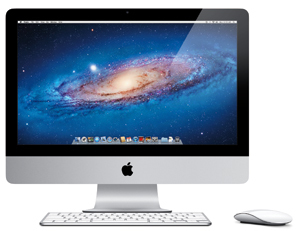 iMac comes with a dual core processor core i3 3.1 GHz, 2GB RAM and backed up. In addition there is also a 250 GB hard drive with the AMD Radeon HD 6750M GPU onboard. But with a cheap price, this iMac does not have a port owned by the iMac Thunderbolt output in 2011. Nevertheless, the PC is still featured FaceTime HD Camera, SDXC memory slots and also supported the display 1920 × 1080.
iMac latest version has been launched by Apple in May. iMac standard version is powered by quad-core processor Core i5 and i7 core processors and is equipped with connectivity Thunderbolt.